Abokado to meshida, ebi no sarada, tonyu no yooguruto-fu doresshingu / avocado, Western lady fern and shrimp salad with soy milk yogurt-style dressing - Welcome to the blog of recipes. In this blog you will find a delicious recipe complete with how to make cooking. The recipes you read right now are Recipe . We present to you completely and clearly. Here's more Abokado to meshida, ebi no sarada, tonyu no yooguruto-fu doresshingu / avocado, Western lady fern and shrimp salad with soy milk yogurt-style dressing. 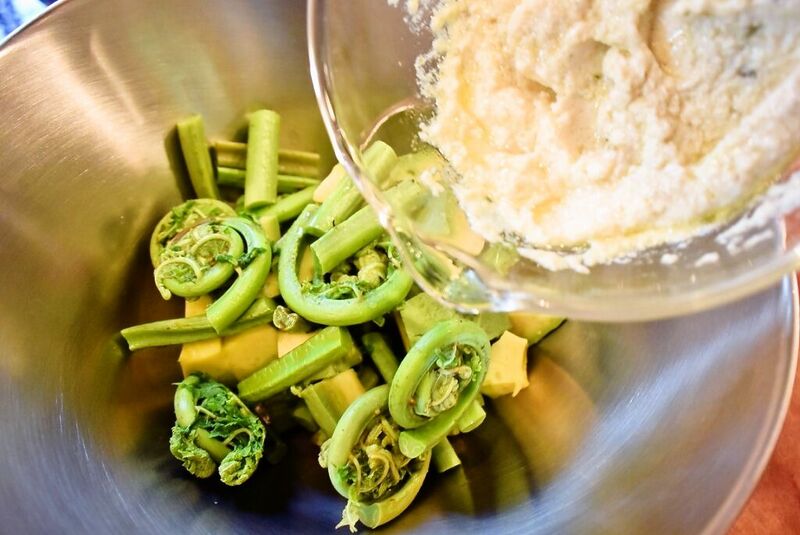 Juicy, succulent lady fern fiddleheads lighten up the golden combination of avocado and shrimp, with everything held together by a softly spicy and creamy dressing made of soy milk. 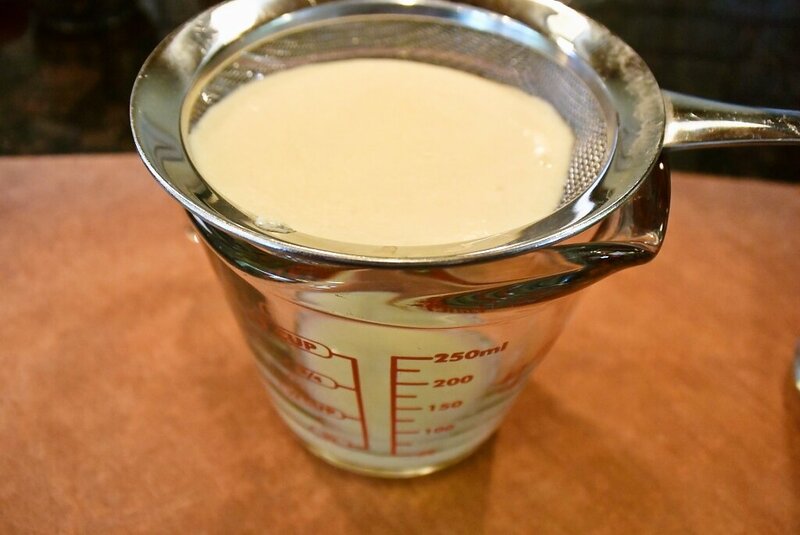 Drawing out enough water from soy milk after mixing with apple cider vinegar takes a bit of time, so strain the mixture of soy milk and apple cider vinegar ahead of time -- the rest goes pretty quickly. 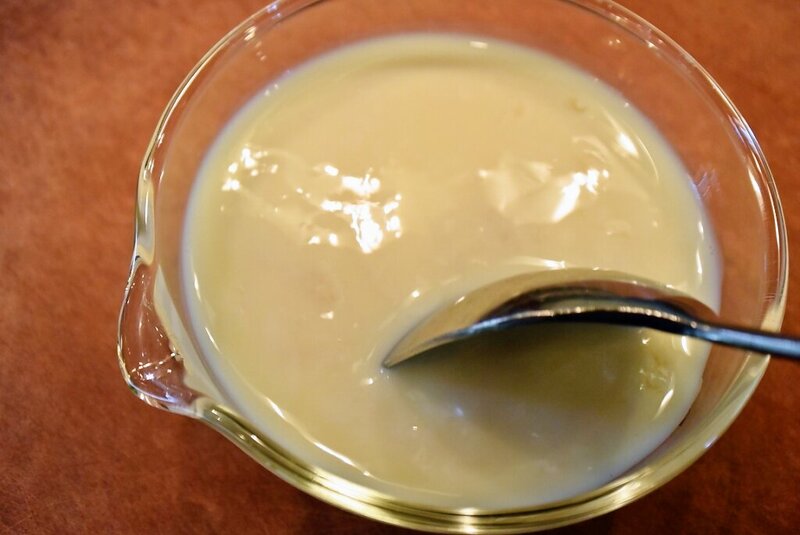 Mix soy milk and apple cider vinegar well, and strain through tea strainer. After 40-60 minutes, excess water is removed (approx. 5 tbsp, pooled in cup). 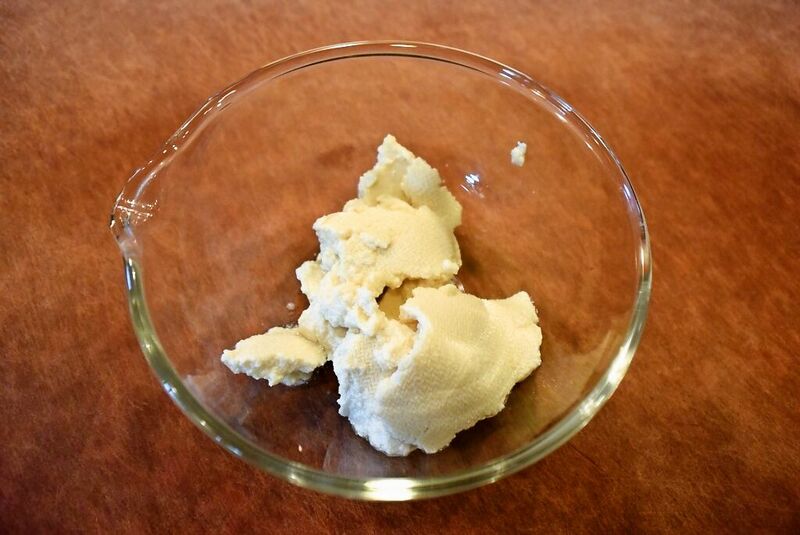 Transfer curds into a small container. 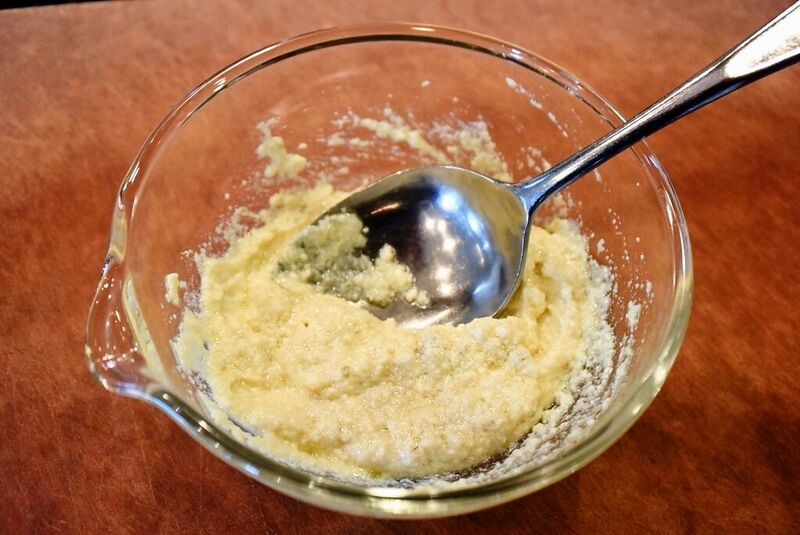 Add yuzukosho and olive oil, and mix well. Bring plenty of water to boil, and blanch meshida for 30-60 seconds. 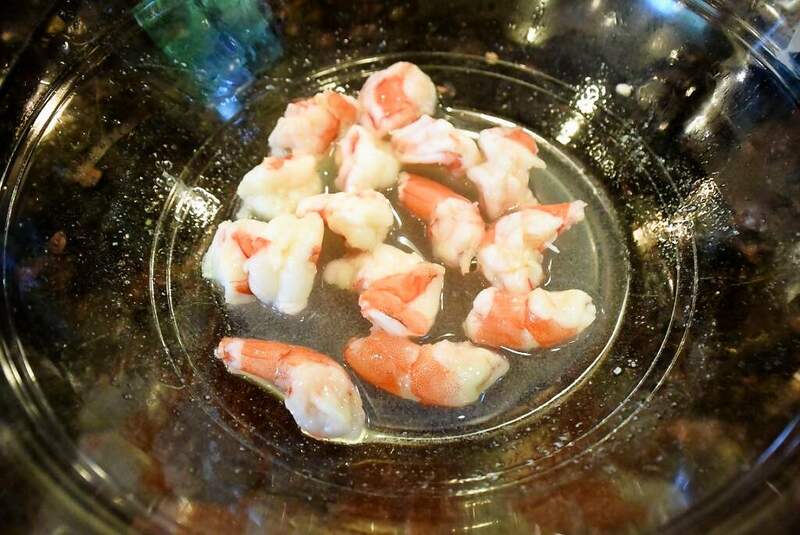 Shell shrimp, clean with potato starch and rinse. Pat off excess water, and sogigiri slice at slant into several pieces. 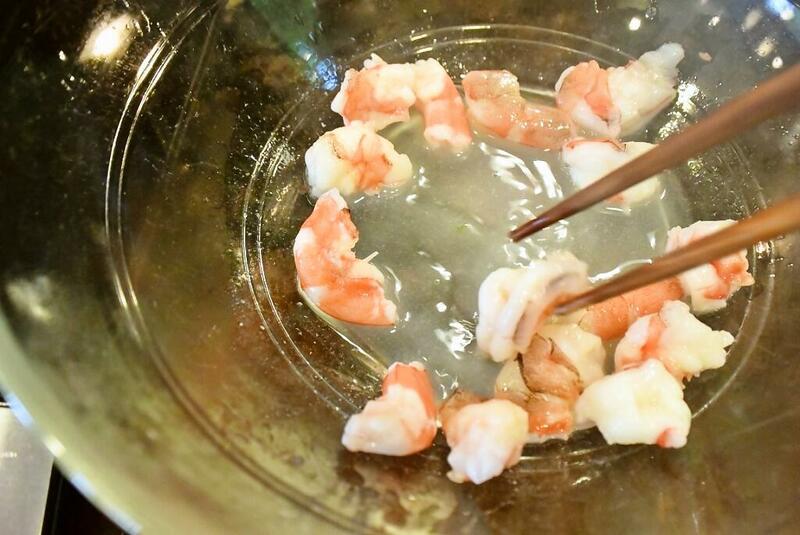 In a microwaveable bowl or plate, place shrimp pieces in a single layer, and sprinkle over sake. 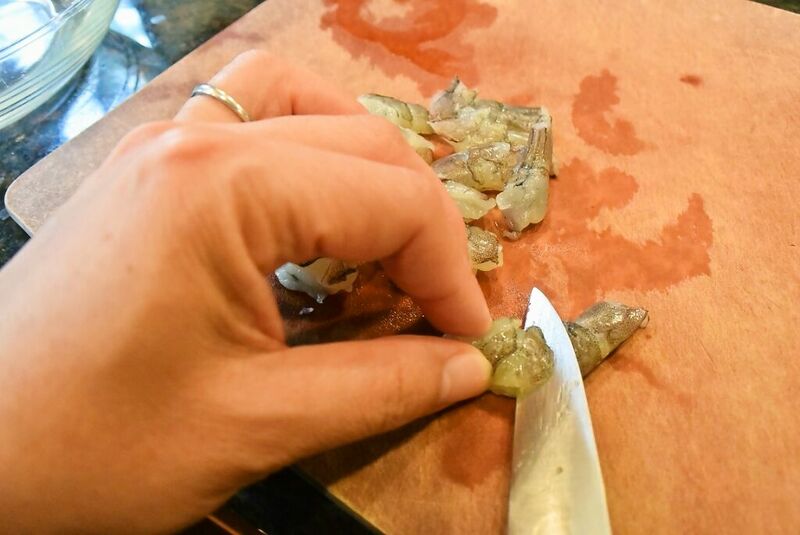 Halfway through, flip and change placement of shrimp pieces for even cooking. 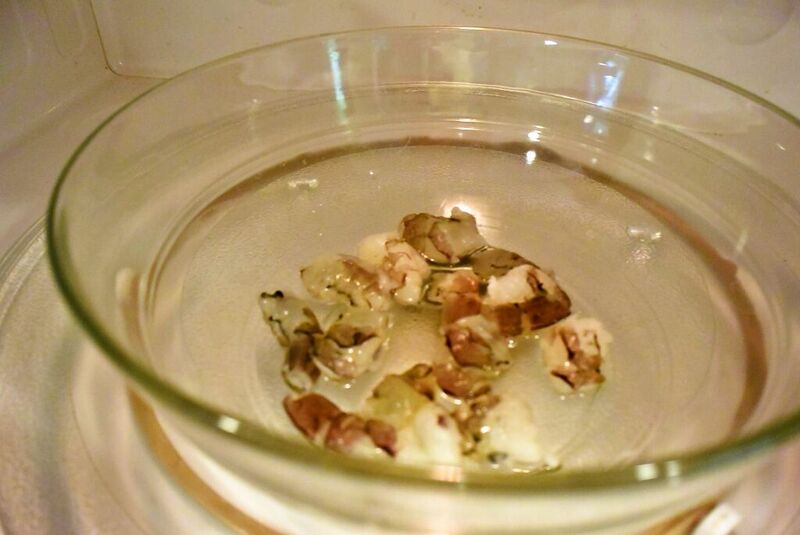 When done (turn opaque and pink on surface), let cool in cooking liquid. 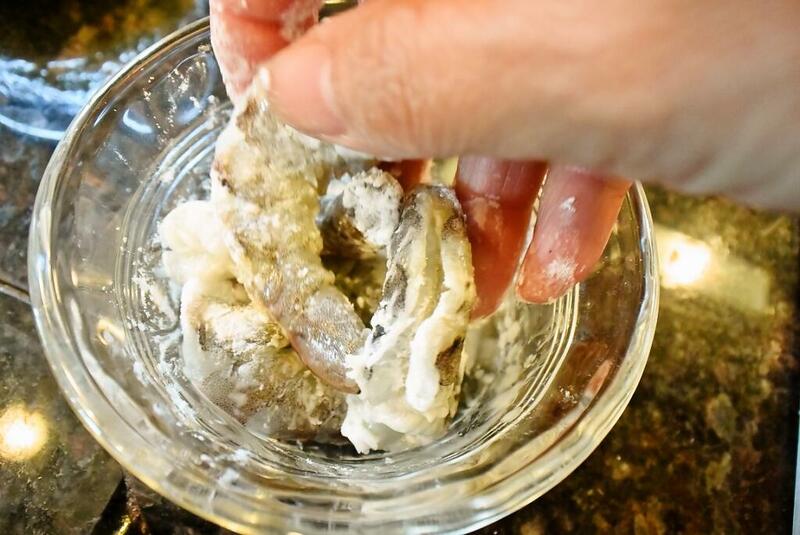 When meshida cools (at least to room temperature), cut into 3-4cm. 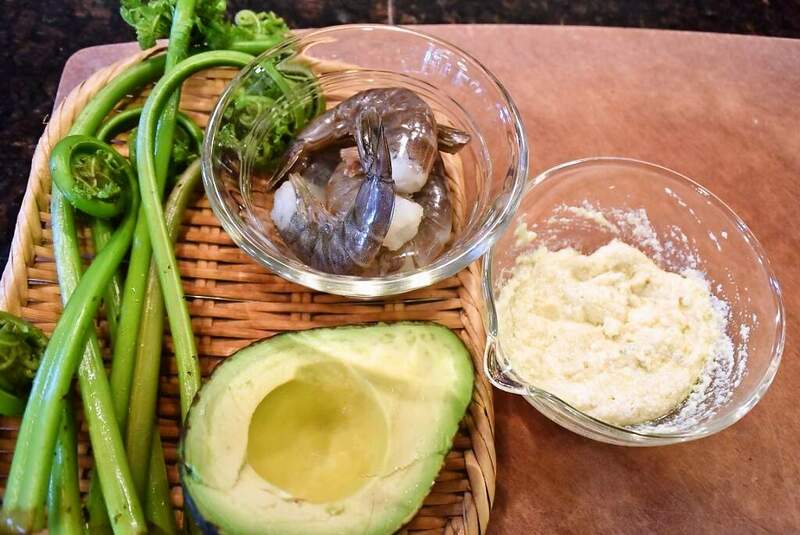 Peel and cut avocado in size matching shrimp. 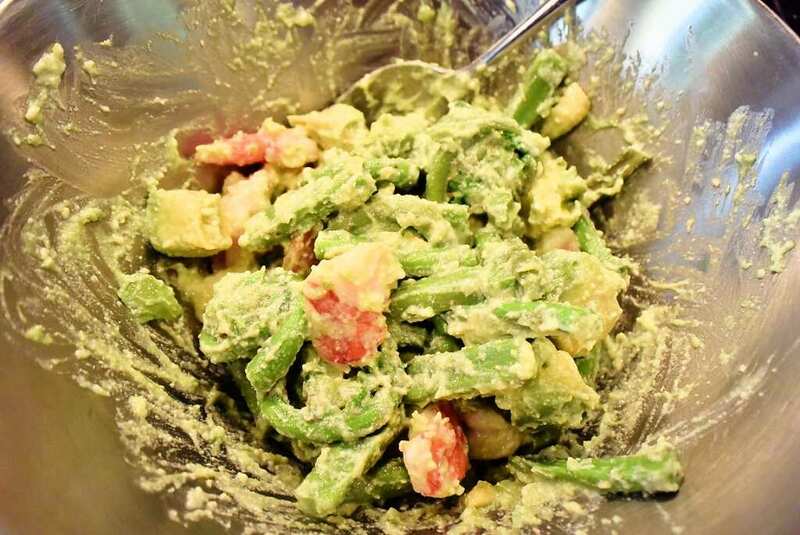 In a prep bowl, place meshida and avocado, add dressing, and mix well. 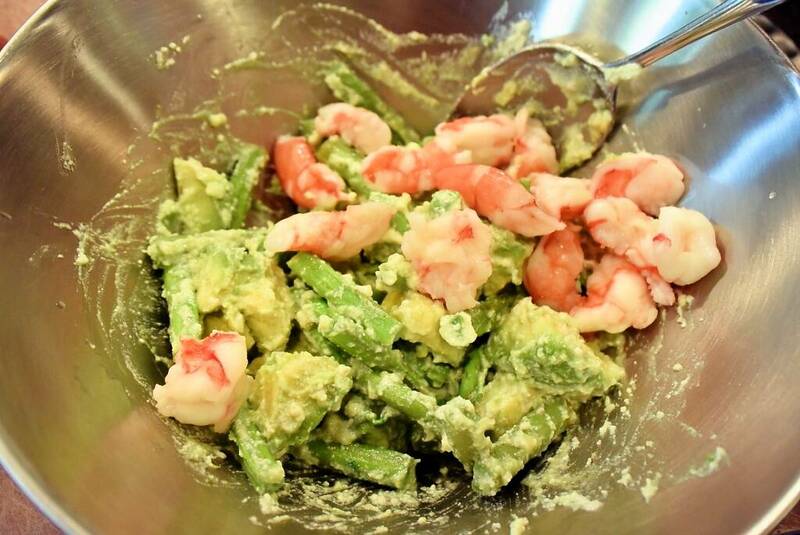 When shrimp cools, add to mixture, and gently mix. 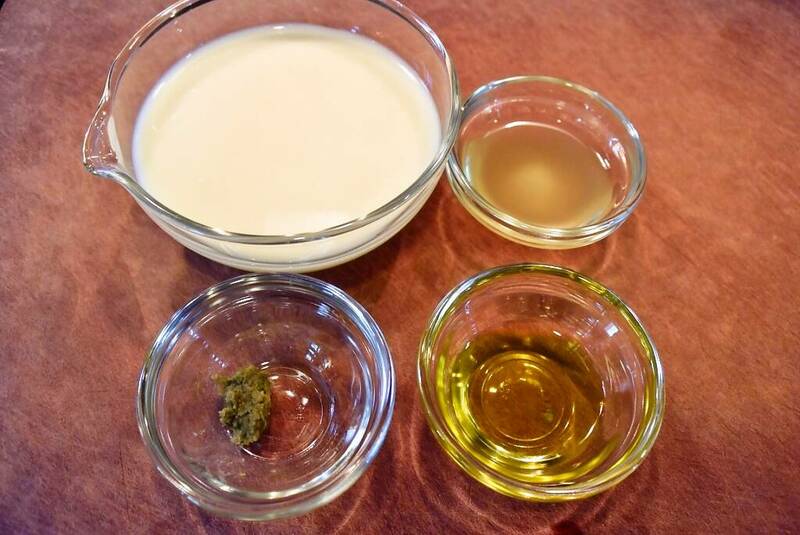 Any vinegar or citrus juice can be added to make curds with soy milk. Apple cider alone seems to result in a mild sour taste in the finished curds, which goes well with any cuisine. 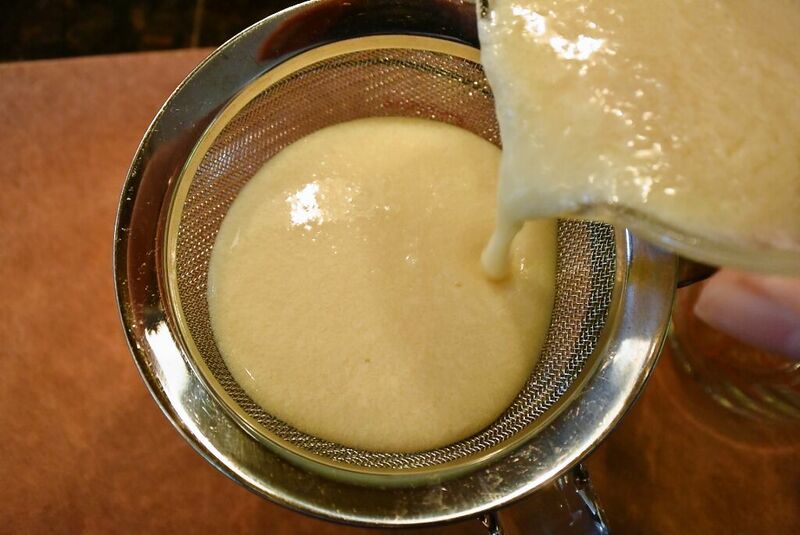 Straining the soy milk and vinegar mixture (in fridge) can be done hours in advance or overnight. 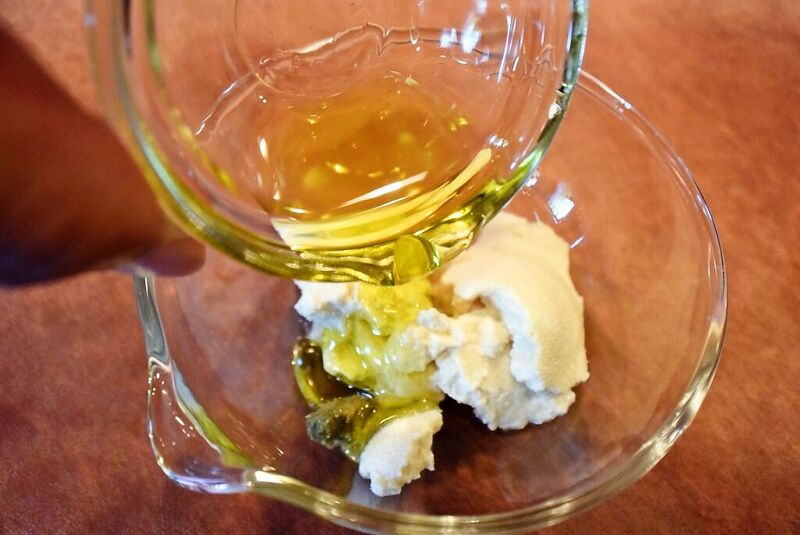 When only 1/2 tsp of olive oil is used, the dressing starts to taste similar to shiraae tofu dressing but with some sourness. 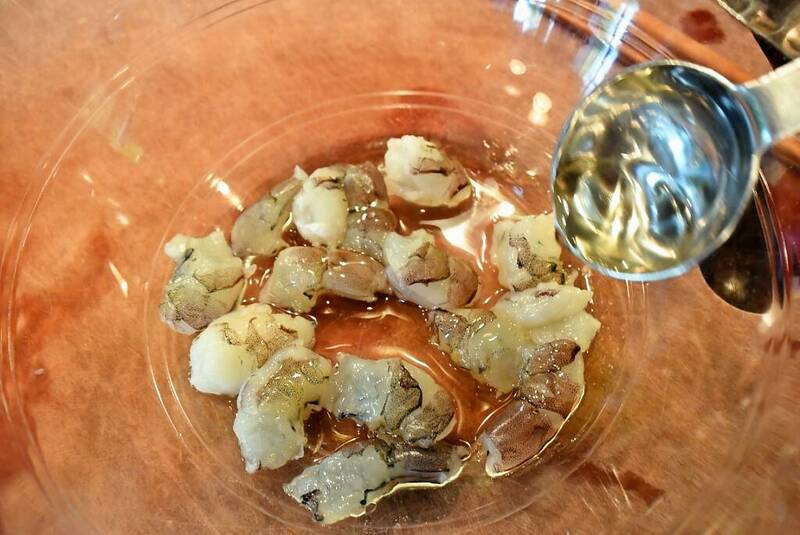 Shrimp can be cooked with white wine. 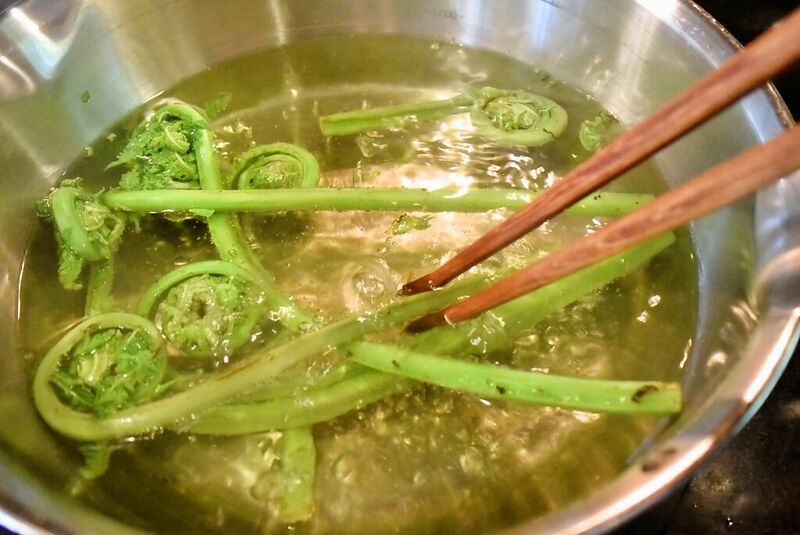 They can also be blanched with sake or white wine, instead of microwaving. Yuzukosho can be very spicy and salty. If unsure, first try a very small amount and adjust. If meshida are not available, ideally substitute with something that has a high moisture content, such as asparagus, snap peas, broccoli (especially stems), kabu turnips, radish, koshin daikon watermelon radish and tomatoes. 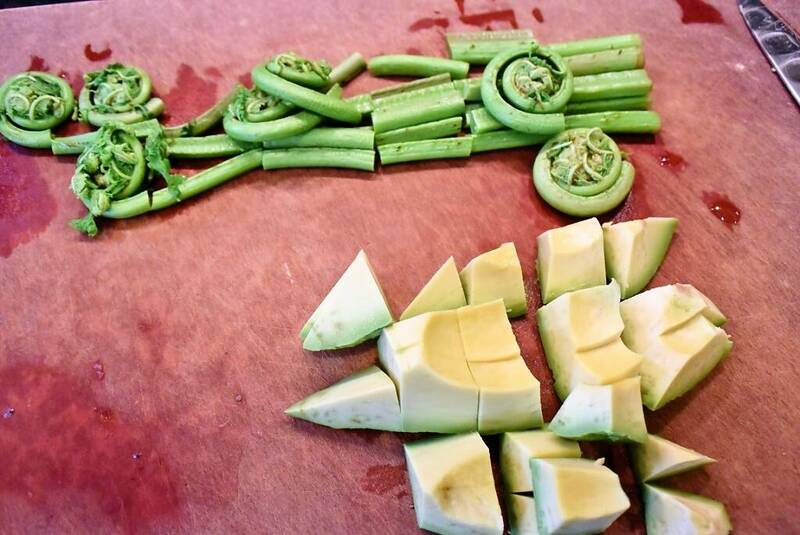 Serving with fresh tender greens is a good idea, too. 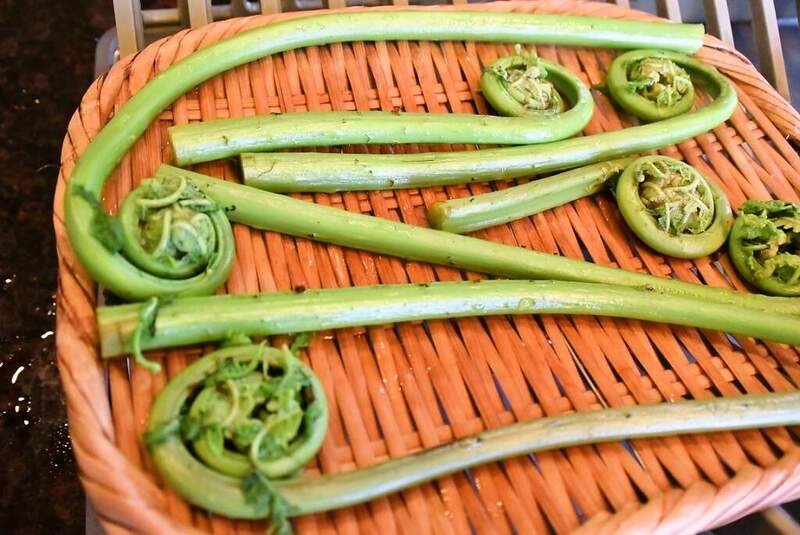 The above nutrition figures are based on information for kogomi ostrich fern fiddleheads (no specific data is found for lady fern fiddleheads). 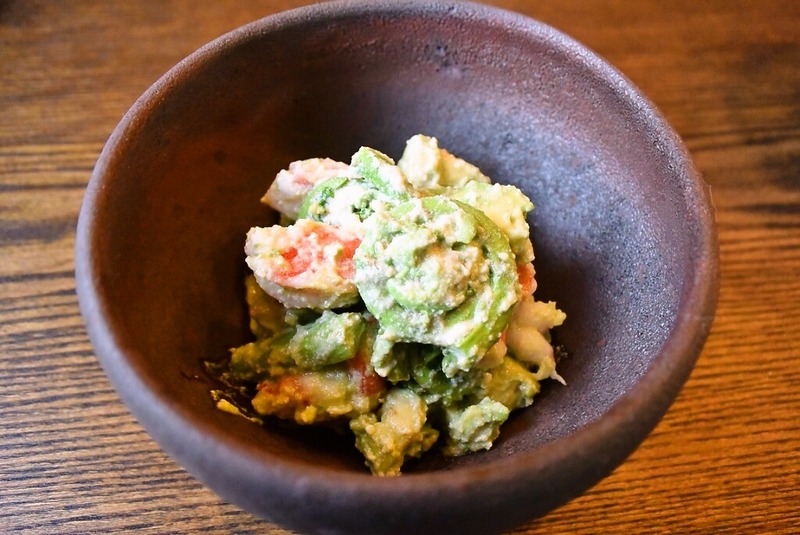 0 Response to "Abokado to meshida, ebi no sarada, tonyu no yooguruto-fu doresshingu / avocado, Western lady fern and shrimp salad with soy milk yogurt-style dressing"